Dry brushing skin has been a process resonating for many many years. But why has it been done? For those of you that don't know about dry brushing your skin, this will be a great way to understand it. 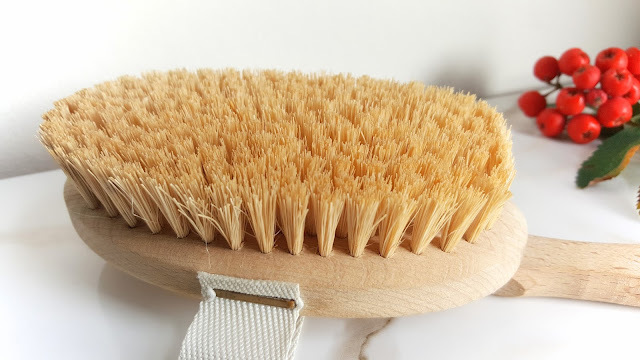 Dry brushing your skin essentially is using a brush with no oils or water and brushing at against your skin in circular motions usually before a shower or bath. Dry brushing your skin eliminates the dead skin cells on our body whilst exfoliating your skin thoroughly. 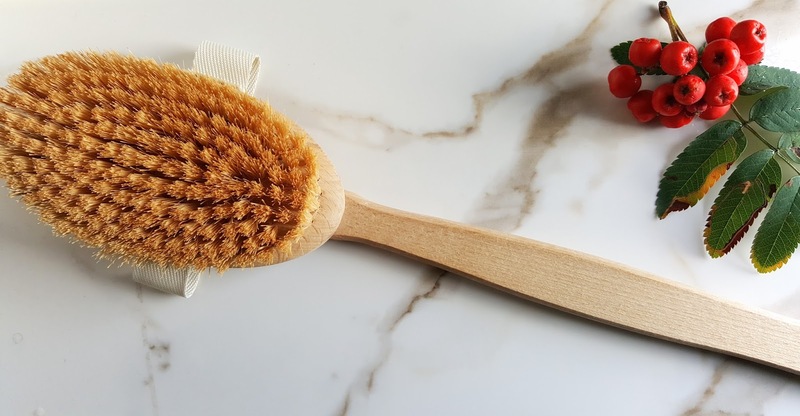 Using the normal loofahs and exfoliating gloves doesn't do the skin justice but due to the fact that the bristles on this brush are hard which helps loosen and remove the dead skin leaving our natural skin feeling incredibly soft. As our body goes through a lot of dirt, oils and residue from moisturisers etc, using a dry brush can ensure that we have clean pores. 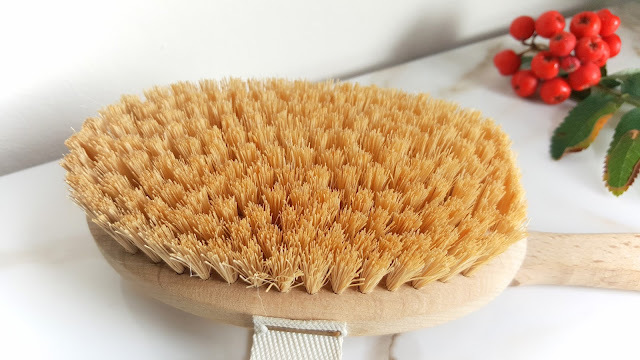 In the science terms, dry brushing stimulates our lymphatic system which removes the toxins from our body inside and out. If our lymphatic system is congested, it causes inflammation and illness so by weekly brushing our skin, it ensures our body eliminates our waste and moves blood around our body efficiently. It also helps with muscle toning. Dry brushing improves the function of the nervous system by stimulating the nerve endings in the skin. Regularly dry brushing your skin leaves your skin looking ultimately glowing and toned. For those who are suffering from dry skin, this also prevents your skin from becoming dry. Your body feels fresh and different after this "massage". You will definitely tell a difference once you have done this. The first time you do this, you will know it has worked. The process includes brushing your skin without any oils, moisturisers or water on your skin. Some people do spray some natural oils, but it is dry brushing. Start from your toes and brush upwards towards your heart in circular, soft motions. From your toes, work your way towards the top of your legs but never brush over inflamed, over-sensitive, bruised or burnt skin. Then from your fingertip, one clean sweep towards the shoulder around your entire arms. Your back is your only exception, do not brush upwards but from your neck down to your lower back. (You can get someone to help you if it is hard but that it is why you can get someone to do it for you). After doing this, have a shower or bath. Have an alternating temperature to stimulate blood circulation. Follow up with a natural oil, coconut oil is a good shout. Cocoa butter, olive, almond and sesame oils are really good for restoring and keeping your skin moisturised. Do this for a month and you will see a difference in your skin. It will thank you for it. If you are ill, dry brushing your skin twice a day will increase your immunity and help you get better faster! You can dry brush your skin once a day or once a week, whatever floats your boat. Care for your brush by using tea tree oil or a little bit of water. But just in case, wherever you purchase it from enquire about the care of the brush. WHERE CAN I PURCHASE A BRUSH? 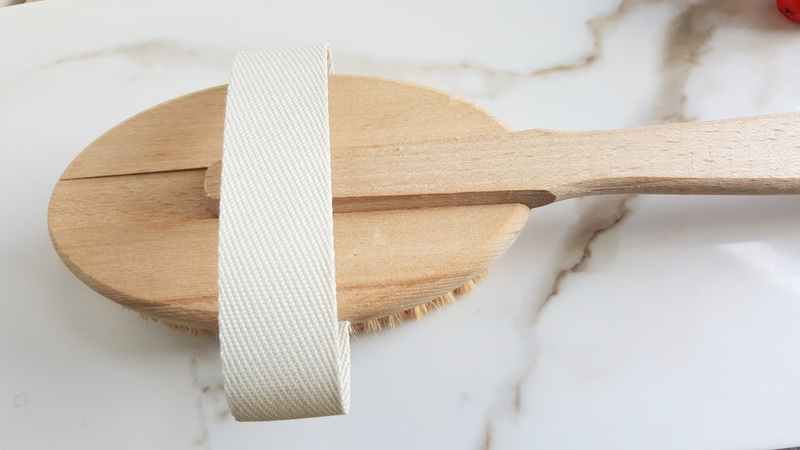 Will you be trying out the dry brushing process? Or have you before?